Gamiviti is pleased to announce a new partnership with Viair, providing you with their entire suite of air compressor, air accessory, and Wurton lighting products. As one of the few dealers in the region to stock these products, you now have a somewhat exclusive opportunity to preview, test, and purchase Viair products directly from Gamiviti. We have combed through their web pages and catalogs of both Wurton and Viair, traded multiple calls and emails with their support team, and have a reached a pretty solid understanding of the product line. We've chosen to stock what we feel are the most practical for most of the Land Cruiser builds we run across, which we have showcased below. Drop shipping directly from Viair is also available, if you see anything at http://www.viaircorp.com/ or http://www.wurton.com/ not shown here that interests you and you'd like our help in purchasing. PN 45043, the 450P-Automatic offers an automatic shut-off function in a larger portable compressor. This 100% duty cycle unit is capable of pressures up to 150 PSI and can be operated for up to 40 minutes at a time before needing to be rested. The 450P-Automatic comes with a close-ended gas station-style air gun for added convenience. - Net Weight: 13.05 lbs. 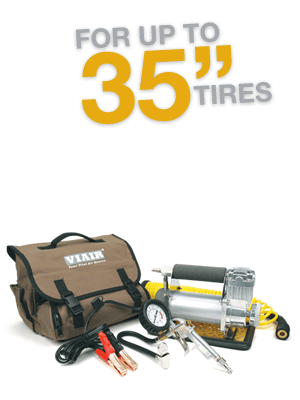 PN 40043, the 12V 400P is a larger portable compressor kit that can inflate up to a 35-inch tire from 0 to 30 PSI in less than 5 minutes. Used and approved of by off road enthusiasts worldwide, the 400P can save you when you’re miles from home. install a working system capable of inflating tires right out of the box. 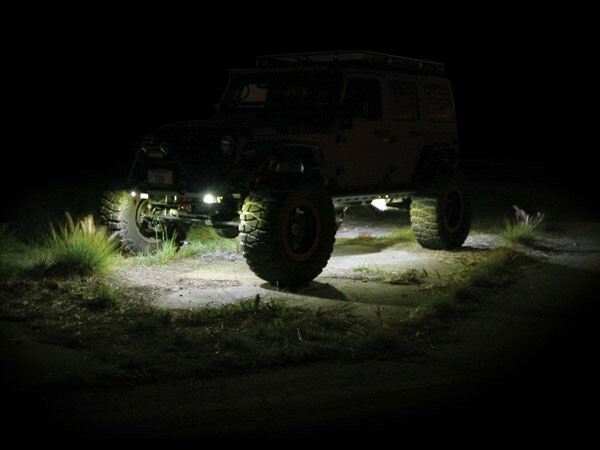 One kit includes 2 complete POD lights, everything you see in the images to the right. $35.